Now to the drama of Kanye West. He had 20,000 people lining up yesterday to get into Madison Square Garden, and it wasn't for a concert. He was hosting a fashion show and listening party for his new album. Millions more people watched the show online. The album was supposed to come out today, but it didn't. Reviewer Oliver Wang scrambled to find a review of the little music that he heard last night and then decided, no. 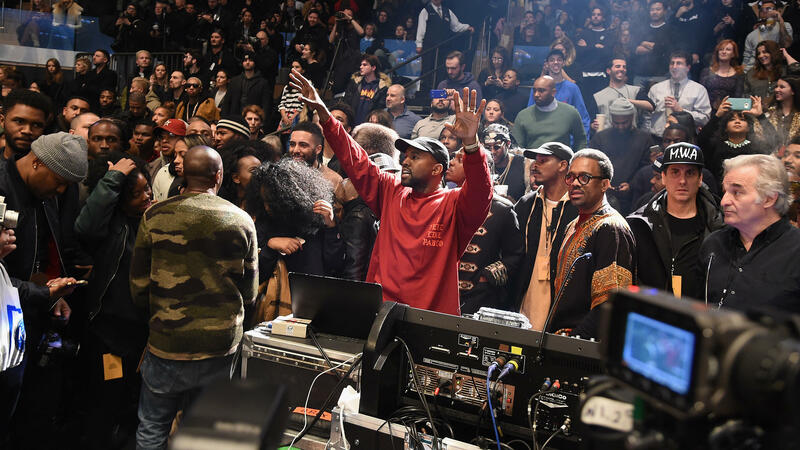 OLIVER WANG, BYLINE: I can't recall a record release as confounding as that for "The Life Of Pablo." Kanye's changed its title and track listing several times in as many weeks. And even up to the very moment I'm writing this, it's not 100 percent certain what will be on the final album whenever or wherever it's released. To do a good job, it normally takes months to finalize, master and release an album. But Kanye's clearly had extra time the last few weeks to turn his Twitter account over to his unleashed id. We've gotten day's worth of cringe-worthy remarks that include misogynistic rants about his ex-girlfriend, bizarre proclamations of Bill Cosby's innocence and an insistence that when he calls Taylor Swift a [expletive] on the new album, it's really meant as a term of endearment. We say we want our artists unfiltered, but sometimes you have to be careful what you wish for. Maybe this is all part of some performance art piece we've been unwittingly sucked into as West plays a puppet master gleefully pulling our strings, and it seems to be working. No doubt, dozens of my professional peers stayed up late last night to bang out reviews of an unfinished album that none of us could've listened to more than a couple of times. We did it because the, quote, unquote, "news cycle" demanded it. I did it. And then I woke up this morning and realized the folly in it all. We're scrambling to digest whatever meager scraps Kanye is willing to throw us. And, sure, it's kind of fun to get caught up in the fervor, but ultimately, trying to think through an album on a few hour's notice doesn't serve anyone - not the writer, not the artist and surely not the listener. There are those of us who yearn for the days when even the biggest pop releases were reviewed after weeks of advanced listening. But today, snap judgments are often the only judgments we get to render. We pretend not to notice the failings of this new normal, but this week, Kanye - whether intentionally or not - has exposed how ridiculous it can all seem. He's taken the lens we typically use to scrutinize him and turned it into a fun house mirror in which we're forced to see ourselves. MCEVERS: Oliver Wang is an associate professor of sociology at Cal State Long Beach and author of the book, "Legions of Boom." Transcript provided by NPR, Copyright NPR.